A road in Hargeisa. Photo: Hala Alkarib.Since 9/11, western countries have increasingly invested in programmes to prevent transnational violent extremism. These include serious militarised measures but also “softer” civic interventions under the banner of ‘countering violent extremism’ (CVE). An example is funding social development programmes, implemented by civil society, with the aim of engaging and deterring individuals and communities from “radicalisation”. An effective response to militant Islamist violence, threats, and underlying ideologies, is extremely important. But in the Horn of Africa, CVE programmes have failed to adequately engage with root causes of religious extremism. Displaced women in Somaliland. Photo: Hala Alkarib.“The flame only burns those who touch it” is a Sudanese saying that resonates today. Religious militancy is not a new phenomenon in the Horn of Africa. People have lived through this fire for the past 30 years. In Somalia, thousands have been killed as a result of the brutal Al Shabaab insurgency which has lured Muslim youth towards militancy by exploiting community vulnerabilities including poverty. In this region, religious militancy often disguises itself as an ideology for resistance against state corruption, ethnic and cultural biases. Meanwhile, counter-terror programmes often ally themselves with the same corrupt regimes. The west considers Sudan, for instance, a collaborative partner – though it is itself an incubator of religious militancy as a result of repressive policies and laws. CVE programmes are clearly supposed to be ‘soft power’ projects in parallel to military counter-terror interventions. But: what exactly do they mean by “violent extremism”? Is extremism acceptable if it is not violent? At what measureable point does an ideology become ‘extreme’? What countermeasures are acceptable? And: Are these projects specifically focused on Islamic religious militancy, or violence based on other religions and ideologies as well? Religious militancy often disguises itself as an ideology for resistance against state corruption, ethnic and cultural biases. These programmes have also been overly simplistic, largely ignoring driving factors of militancy and violence including injustices inflicted upon the region’s population. The – largely flawed – operating assumption is that providing grants to NGOs to undertake development-style programming will lead to a shift in communities’ social identities, or erase those inequalities and injustices. Since the First World War, British and French colonial governments, and later the US government, helped cement political Islam and its organisations as buffers against Soviet Union’s expansion and to counter socialism’s influences in their quest for absolute control over Middle Eastern oil and gas. Today states such as Saudi Arabia and Iran stress that Islam has only specific veiled versions, of which they are the vanguards. Supposedly, Muslims all over the world must be either Shia like in Iran or Sunni Salafi like in Saudi Arabia. The Islamic faith also has a rich heritage of reform and transformative discourse. But, like other religions Islam is very diverse. Peoples’ experiences with it vary based on their specific historical and cultural contexts and perceptions. The Islamic faith also has a rich heritage of reform and transformative discourse, which can be used to facilitate persuasive transition in communities using their own religious guidance. The Horn of Africa – which includes Sudan, Kenya, Uganda, Somalia, Ethiopia and Djibouti – is close to the Arab Gulf region and thus it has been largely influenced by Salafi religious militancy ideology. I recently heard the story of a donor-funded CVE project in the coastal areas of Kenya, which shows what’s at stake when NGOs, following donor agenda, forget that social and cultural change requires great effort, knowledge, and community ownership. This project had proposed removing all references to jihad in the Qur’an in Islamic religion classes for “Madrassa” children – provoking anger and revolt from the local community over the presumption that it could intervene in matters of religious identity like this, amending and censoring materials. Pursuing social transformation requires focusing on, and investing in, civil movements from within. Years of experience challenging religious militancy and its impact on women has taught me that pursuing any form of social transformation requires focusing on, and investing in, civil movements from within. It is the role of people living in regions where militant Islam is rife to lead and decide on the best approach to countering it. Women’s movements have also been negotiating and challenging discrimination within different sects of Islamic traditions, text and jurisprudence. Academic Amina Wadud has contributed to a feminist reading of Quranic text based on equality and justice which counter to traditional and militant readings. 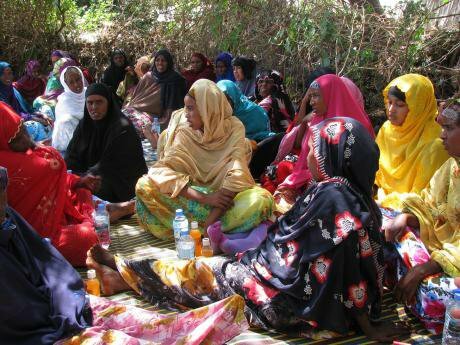 Addressing religious militancy’s impacts and drivers is also a core priority of the SIHA Horn of Africa women’s network. This approach must be adopted by political parties too and be connected to wider struggles for democracy, freedom of belief, equality and justice. Unfortunately, most CVE programmes and other counter terrorism strategies can only be characterised as pursuing ‘quick-fixes’ and short-sighted and short-term gains. 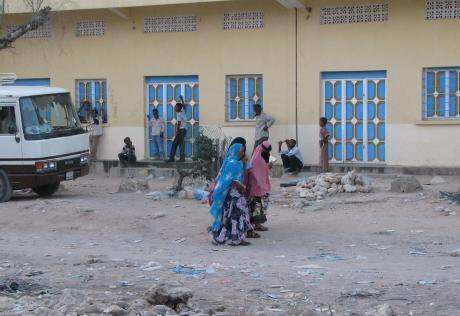 Communities in the Horn of Africa must look inside rather than outside for solutions. Within civil society, we must tackle prohibitions and fear of debate and critical engagement with Islam. Internationally, we need a new agenda, centred on liberation, to support movements relevant to the communities most affected by violent extremism.